Since my mother's diagnosis three months ago, my life feels like it has gone off the rails. Friends, colleagues and family have assured me that on the outside, I'm holding it all together. But I know differently. So, a couple of weeks ago, I was on Facebook, chatting with fellow You Need a Budget (YNAB) users and the discussion was: "How do you get it all done?" Ever the student, I eagerly read comment and after comment (there were several) about how different people "got it done". Someone mentioned the Uncalendar. Having never heard of it, I went on a search. The website led to a pretty basic layout of an undated planner. What seemed unique about this undated calendar was 1) you could start at any time and 2) the creators broke it down that provided enough parameters for people to meet their goal while, simultaneously (and this is the genius part) allowing it to be completely customizable. The next stop is where everyone goes to learn everything about nothing at all: YouTube. What I discovered was that while there were tons of videos on planners (for every planner under the sun, including but not limited to, making your own from a dollar notebook), there weren't a whole lot for Uncalendars. But they were there, so I devoured everything I could on the subject. I even found (joy!) a Uncalendar Users Facebook group. I will be unboxing the Uncalendar exactly as I received it. 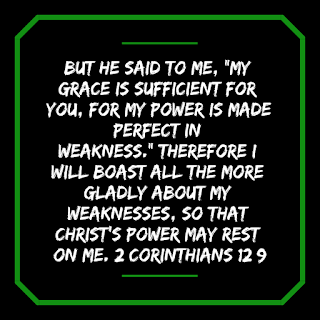 I did spend a couple of hours this afternoon customizing it for my use. I will share that as a later date. One thing I did mention in my video was the idea of creating a series for planners who were anything but natural planners. Certainly, I cannot be the only person who is grasping at straws trying to find something that works for her. If the interwebs has taught me anything, it's that whenever you think you're alone or unique, you are not. There are millions of people just like you. As such, whenever I write about the Uncalendar, I will label it Planners for the Rest of Us. Being new to the Uncalendar, I know that I'm going to be constantly tweaking my system. And I want to be transparent in my journey in hopes of it helps someone out there. If it does, great. If it doesn't, well that's okay, too. 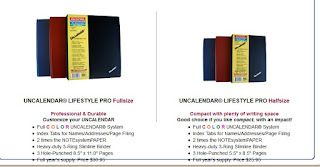 The Uncalendar Lifestyles Pro Full Size comes in a 1 inch textured vinyl three-ring binder. There is a pocket inside the front cover. The planner comes divided into four tabs: Day/Week, Month/Goals, Notes/Techs and Data. Each tab is printed on durable card stock with suggested uses for each section. At the very back - and I believe this is what sets the Lifestyle Pro apart from the regular Lifestyle is a phone book/contacts log. As I mentioned in my video, most of my contacts are stored in my phone or on my various emails, however, as The Man Beast pointed out - if I'm ever in a training and I need to jot down contact information, this would be a good place to put it. Index at the back of address/index log (I'm not sure why - unless these are frequently used numbers/contacts OR these are the contacts you will carry into your next year's Uncalendar. Honestly, I see this part of my Uncalendar physically being moved to my new Uncalendar next year. This might change. The Uncalendar is color-code with primary colors: red, yellow, blue, green and sometimes black (depending on the section). While there are suggestions throughout, the general blocking of the planner is very empty (and thus customizable). The Uncalendar comes in two sizes (half and full) with three color options (black, blue, and red). The Lifestyle (full and half size) come coiled-bound. 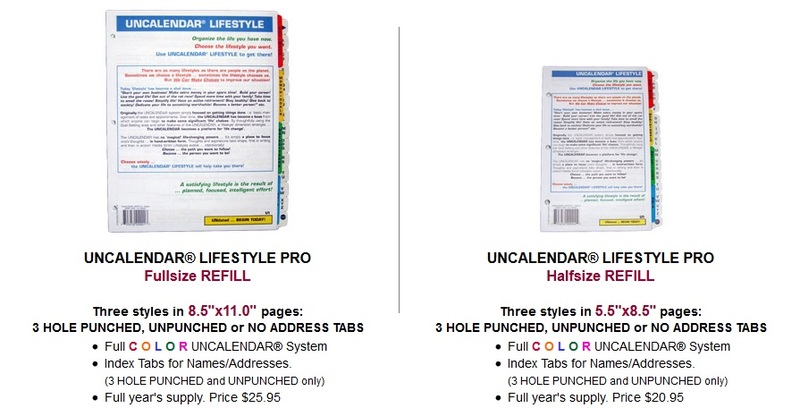 All Lifestyle Pro planners come in three ring binders. 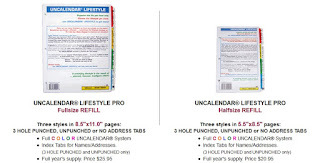 The company also offers full and half size refill planners. I will get into how I am planning on using the planner in another blog post. This one is just to get readers a general idea of what the Uncalendar Lifestyles Pro entails. While many product reviews found on the web offer paid compensation, I want readers to know that I in no way, shape, or form received any compensation of any kind for completely this unboxing. Like most people on the interwebs, I just like sharing.